A brand-new children’s book has been published by Finkley down farm, Author Alan Scouse, with illustrations by Mahonetoons. 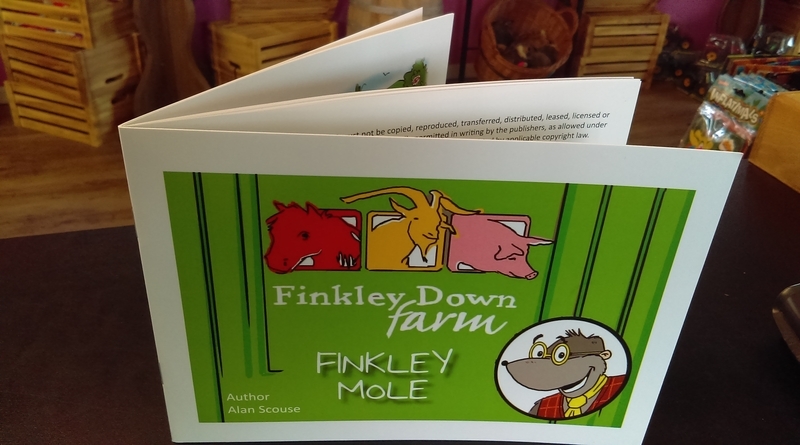 The book features Finkley mole and tells the story of his working week at Finkley down farm. Throughout the story you meet many of the animals who live at the farm and Farmer Charlie himself. Finkley down farm is an award-winning children’s farm based in Andover, Hampshire. They are open 7 days a week, all year round, they only close on Christmas day, Boxing day and New Year’s Day. Finkley Down Farm has a massive indoor play barn with different areas for different age ranges. There’s lots of outdoor play as well, with pedal go-carts, mini ride on tractors, sandpit and trampolines. Throughout the day there are animal handling and feeding activities for children to get involved in. Farmyard Crazy Golf and Reptile Encounters have now been added to make a Farm-tactic family day out. The brand-new book, Finkley Mole, would make a great gift for Finkley down farm fans, old and new. It can be bought at the farms gift shop and is priced at £5.99.